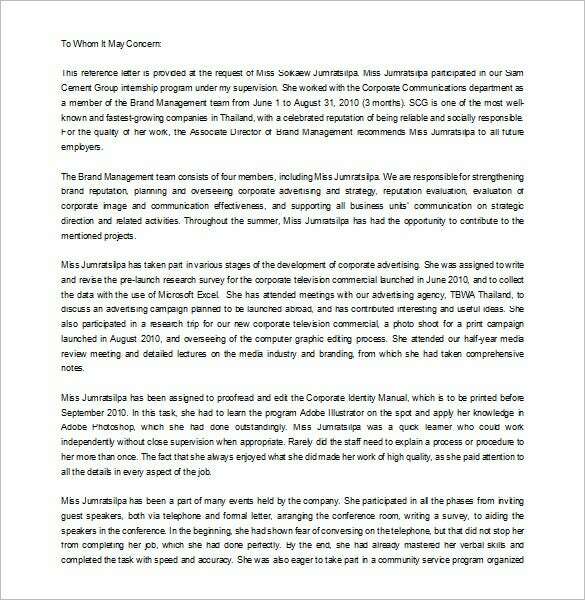 Letter of Recommendation for Internship are not as ordinary as any kind of letters. For example, they influence whether or not an institution will invite you to be an intern with them as you gain some experience in your field or expertise. 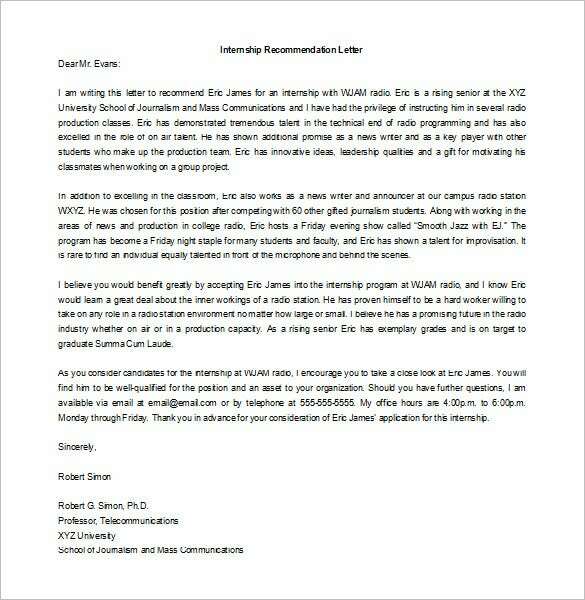 The sample recommendation letter for a friend needs to be detailed enough to ensure you stand out above all other potential interns. 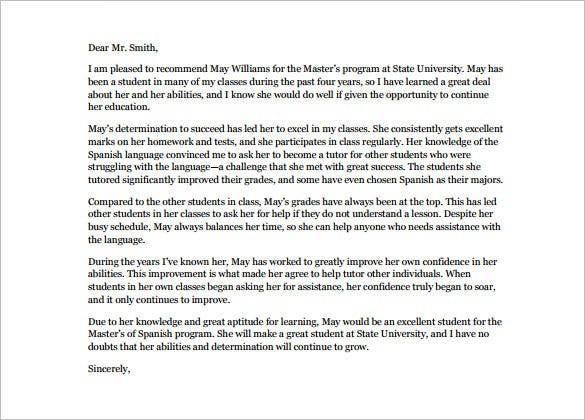 It then becomes necessary that your professor invest time in your letter. 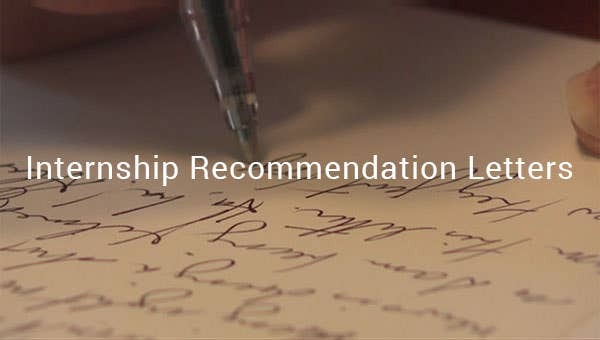 villanova.edu | If you need to furnish a letter for Recommendation when you apply for a course, a program or a new job, you would require requesting your seniors for the same by a written request. 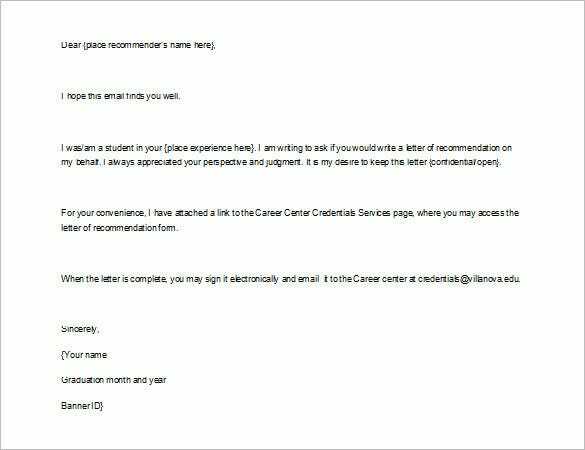 The Sample Request for Recommendation Letter for Internship is a ideal draft which you can customize to furnish such a letter of request. Internships are assignments which are frequently taken up by students and young professionals, therefore, if you are a professor or a senior manager at a firm, drafting out letters of recommendation could be a frequent request you will receive. 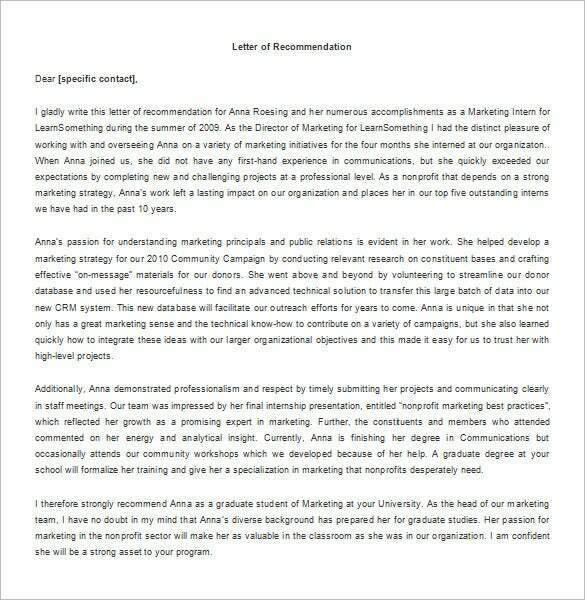 You can download and save the letter of recommendation for internship template and edit them as per the requirement. 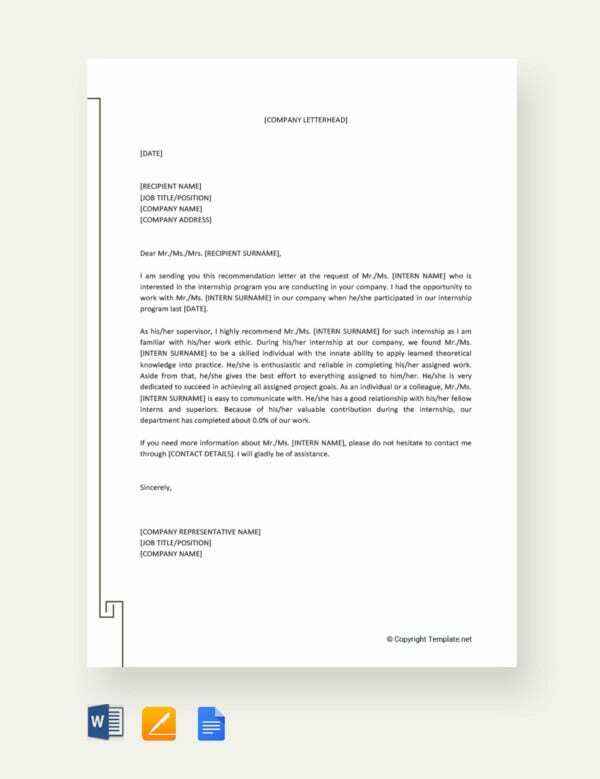 greatsampleresume.com The Editable Recommendation Letter for Internship is a reliable draft which you can use and edit to certify your students when they pick up internships after the completion of their studies. 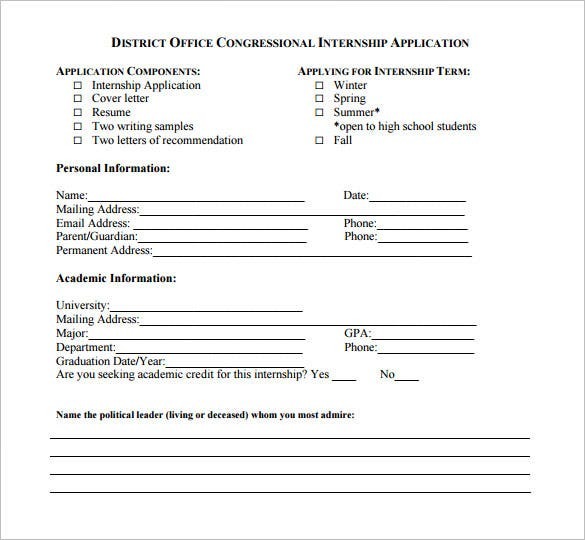 This is a sample internship recommendation form which numerous organizations print when they open vacancies to recruit freshers and students. 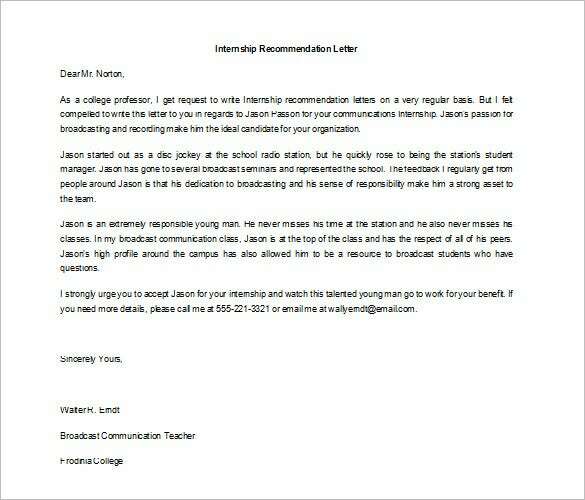 Attaching a recommendation letter along with this form can be an effective way to apply for internships. 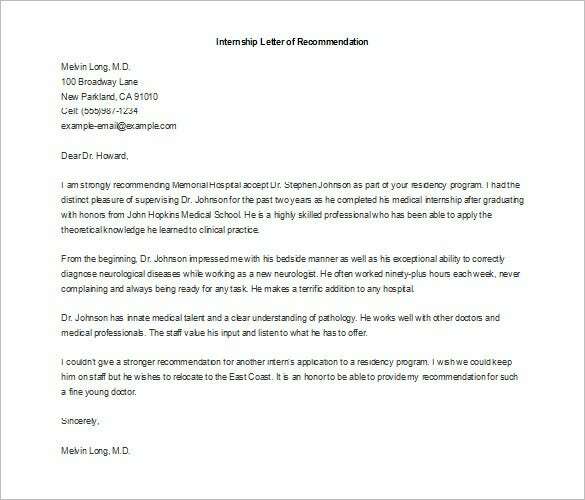 livecareer.com | You can use the Free Printable Internship Letter of Recommendation Word Template to recommend your junior doctors and any other medical practitioners if you have worked with them for a considerable duration of time. 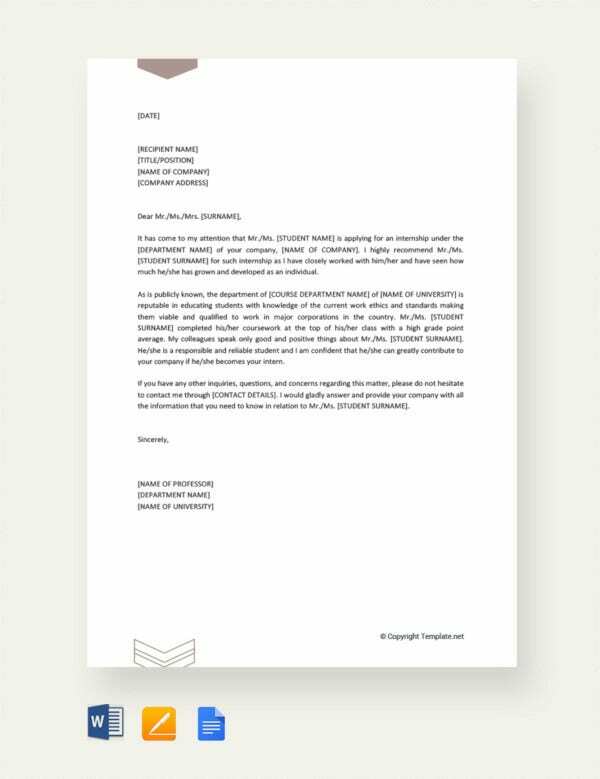 oeilsj.wordpress.com | Draft a detailed recommendation letter for a colleague or a fellow employee with the assistance of the Letter of Recommendation from Employer Internship Sample format and save the template to use it everytime you need to draft such a document. 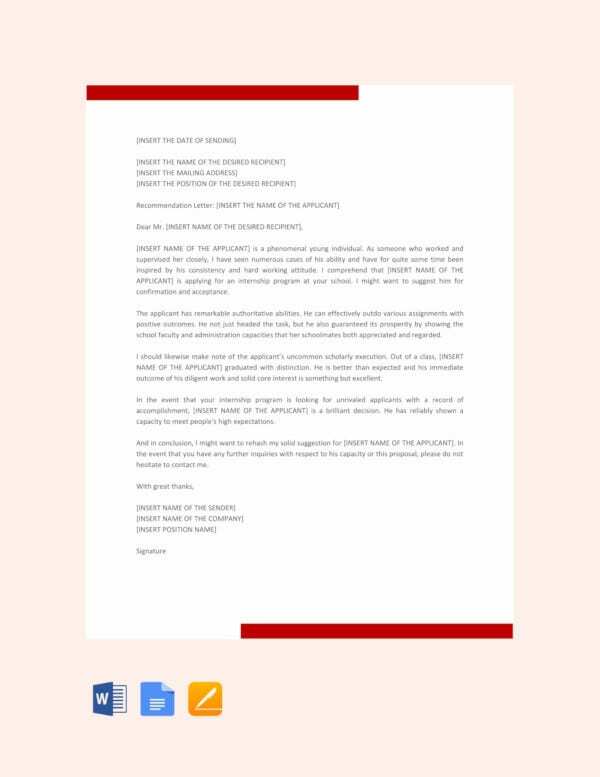 It is prudent to ask them to draft your letter format during the summer holidays. This is the time when a majority of them draft most recommendation letters. However, it will be wiser if the recommendation letter is written several months before it is needed to allow for follow-up.